Diamondback Plumbing is a licensed plumber in Scottsdale that has been serving the valley for over 20 years with a well known reputation for great service and competitive pricing. All our work is always completed per UPC Code and IFC Code. Every home or office needs plumbing services at one time or another. If you have a commercial building or restaurant, you are likely going to need more than usual assistance from professional plumbers. The State of Arizona requires businesses in this particular industry to have basic storm management systems. It also requires that these systems follow a regular cleaning and maintenance schedule. Diamondback Plumbing offers the services that you need. We are a fully licensed contractor with the experience necessary to provide you with the services that you need in accordance with the policies of the State of Arizona. We offer our services to both homes and businesses. 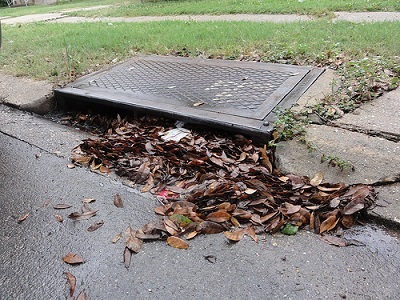 Our technicians are experts in catch basin cleaning. They are trained in cleaning and managing parking space drainage systems. Our technicians can visit you to clean your basin at your convenience. We will check not only the basin but your storm system in its entirety to make sure that it stays in top-notch condition. We use this technique to flush out all undesirable substances from systems. To do this effectively we first use a camera to capture and inspect the system’s interior. We will look for cracks and other similar weak spots on the pipes and walls. It is important to locate these weaknesses before using a high pressure technique like hydrojetting. In the absence of sensitive fissures and deep crevices, we encourage you to allow our technicians to use hydro jetting. The use of a high pressure water stream is effective if you want to remove grease, sludge, tree roots and other substances that are difficult to get rid of. We direct the water to the walls by using the right-sized nozzles. We can apply water up to a maximum force of 60,000 psi. This force is powerful enough to completely eliminate oils, dirt, and debris that have attached themselves to your pipes and basin walls. If it is necessary to cut through trapped soil, we can do hydro-excavation. There are certain advantages to using this particular system. As all industry insiders know, this method is far more superior for safety and damage control than mechanical methods. It does not move, break, or damage underground cables or pipes. Work can be completed faster without any unnecessary expense for damages. Hydro-excavation is usually the method of choice, especially if there are structures in the area which need to be kept from being damaged. If there is a great amount of granular material which needs to be collected in the basin, as well as from the surrounding area, the best option is the use of commercial-grade vacuums. The features help technicians deal with foliage, stones and other blockages – even if they are in big quantities. We select out equipment with care. We get only the best and most up-to-date equipment that the market has to offer. Our technicians are trained to use these machines with expertise. We also make sure that all our machines remain in tiptop condition through regular maintenance. It is important to clean a clogged system right away. A system that is congested is likely to be problematic, especially when it rains hard. It is important to regularly inspect inlet structures and the catch basin so clogging can be prevented. Our company can help you to maintain your systems. 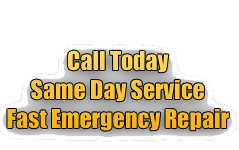 If there is sudden flooding in your area, you can call us for assistance. Our technicians are available 24/7 to attend to emergencies, such as the need for emergency pumping.